With motorcycle, moped and scooter users being the most vulnerable motorists, it's not enough to just wear a helmet when going out on the roads. 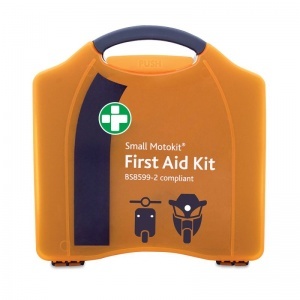 The Motokit Small Vehicle First Aid Kit is the prefect provision for an motorist to carry with them in case of road accidents. 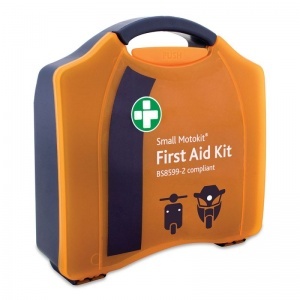 What Can you Expect to Find in the Small Motokit? The Motokit comes in a small, stylish Aura case designed to withstand wear and tear. 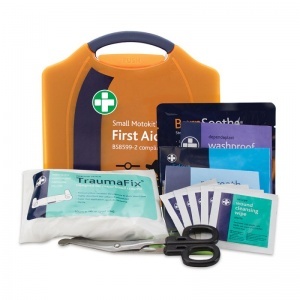 The components of the kit have been selected by professionals for ease of use, even for the road user not trained in first aid. 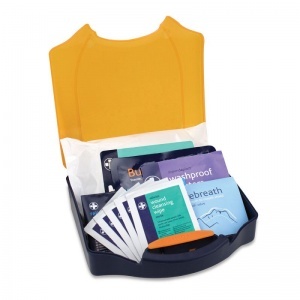 This allows anyone to meet the needs of road traffic victims while waiting for the emergency services. The Motokit Small Vehicle First Aid Kit is usually dispatched via First Class Royal Mail and delivery should be within 1 to 3 working days.